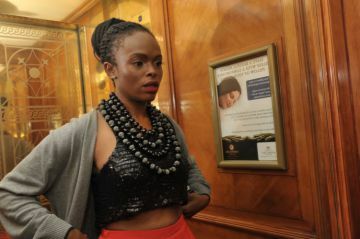 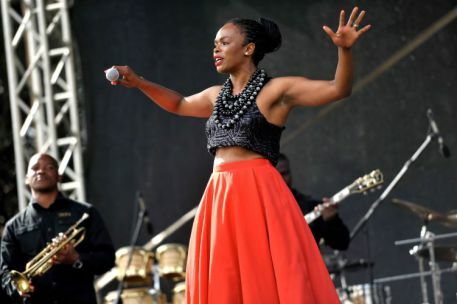 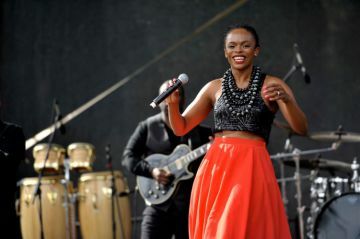 IT’S less than two hours since she knocked off from her radio breakfast show, The First Avenue on Metro FM, when I get to my appointment with Unathi Msengana at one of her favourite eateries in Rosebank. 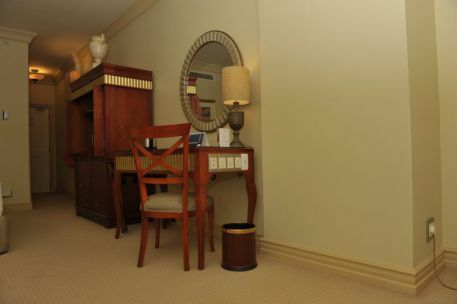 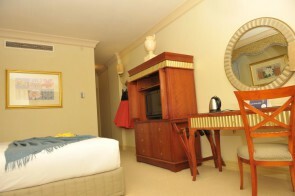 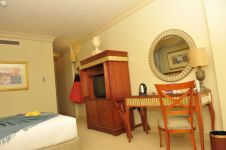 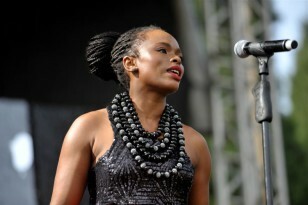 I spot her at a table in Doppio Zero, looking naturally beautiful, stirring her cup of tea with lemons, waiting for me. 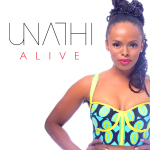 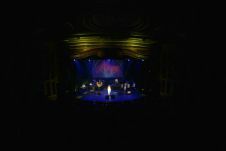 She releases her third studio album, Alive, on Monday, though the digital version hit iTunes last week. 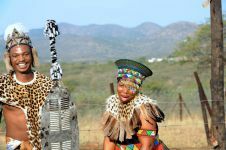 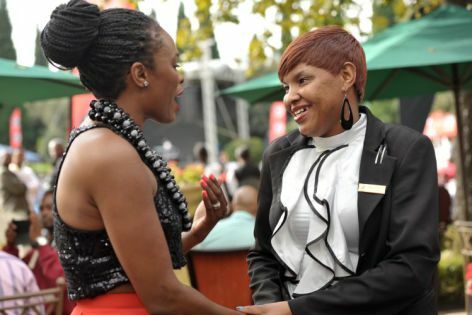 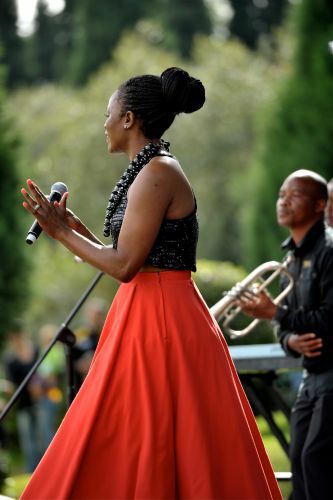 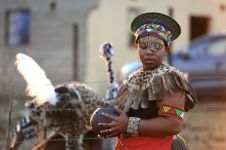 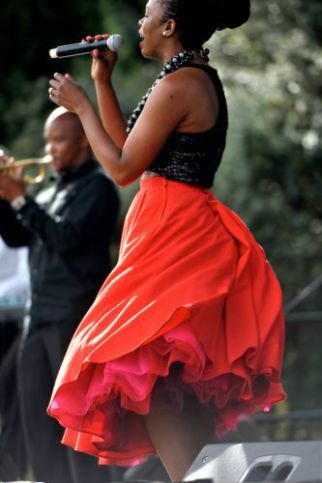 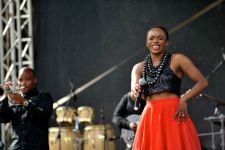 Msengana has been in the industry for over a decade since her TV debut on Castle Loud, and remains one of the most critiqued celebrities in South Africa whether it’s her opinion, music or looks. 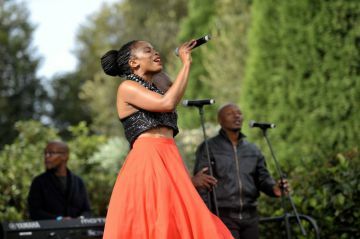 Perhaps it’s got to do with her position on the Idols reality competition where she makes or breaks dreams. 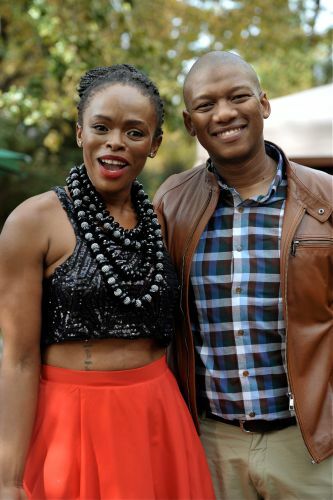 In one of her most recent public ridicule episodes, a photo of her posing with a fan without a stitch of make-up on was posted on Twitter and snide remarks made about how enhanced her looks were with make-up. 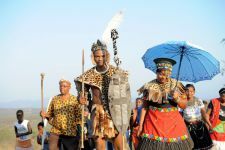 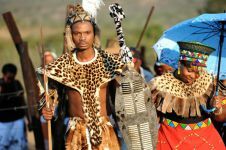 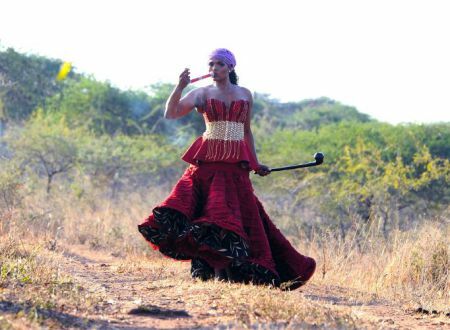 Msengana takes the hate from people, especially women, with dignity and doesn’t retaliate. 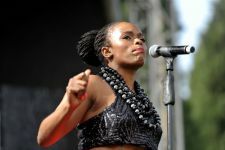 “It’s okay, it’s not my place to give it (hate) time,” she says, adding that her thick skin could be credited to her upbringing and her parents whom she describes as “pillars”. 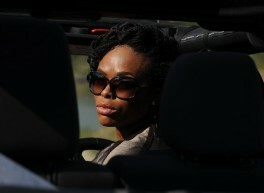 Her father is a psychologist who’s always been tough on her. 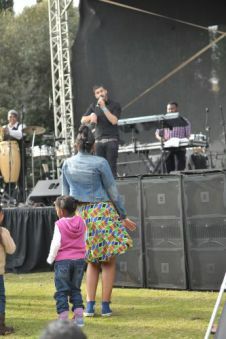 “He would say to me ‘hey! 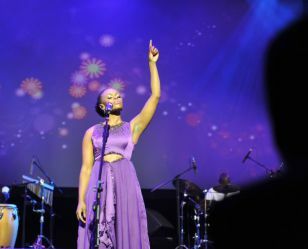 You should always remember your purpose, pull yourself together and get on with it’,” she says. 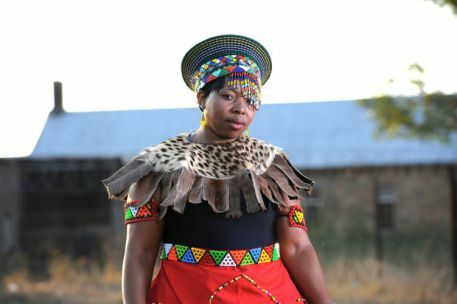 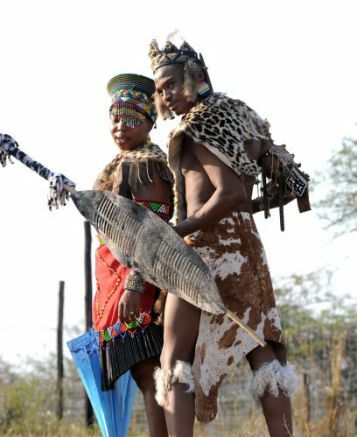 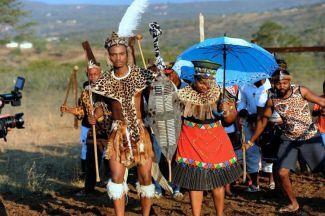 Her mother, on the other hand, is more subtle, as she would tell her that even Jesus had haters, “k’mele uqhubeke mntwana wam” (You must soldier on my child). 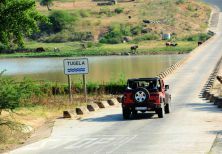 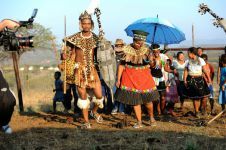 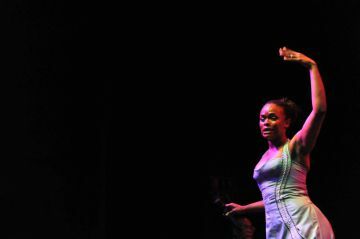 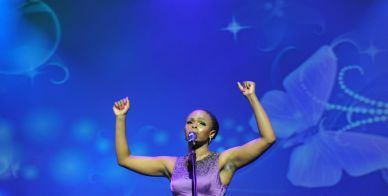 But above everything else, Msengana feels more alive at this point in her life than ever before. 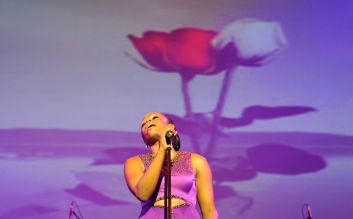 “That’s why I named my new album Alive. 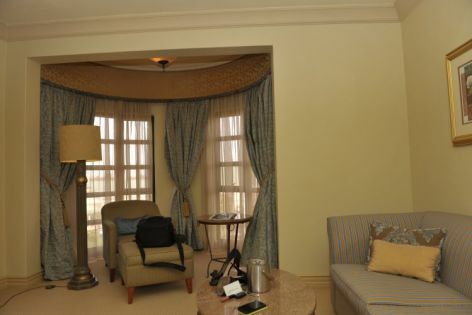 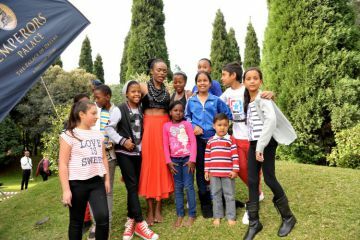 It’s because I’m so passionate and full of energy, I’m in a very good space,” says the mother of two. 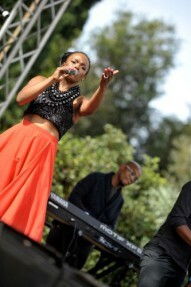 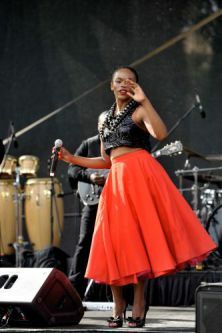 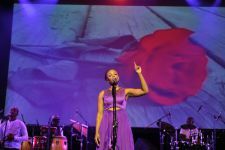 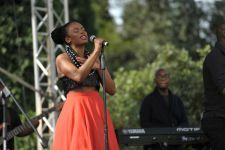 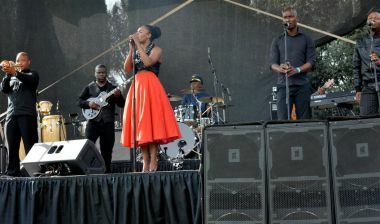 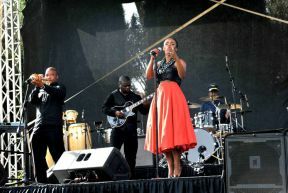 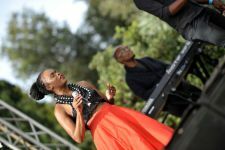 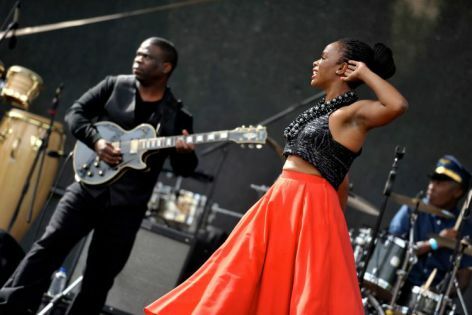 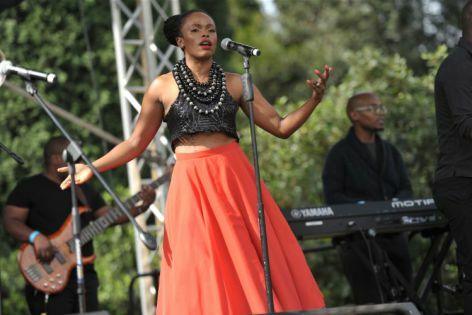 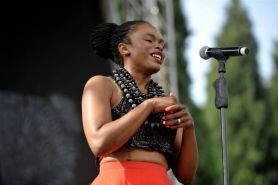 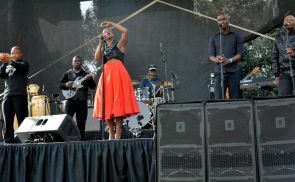 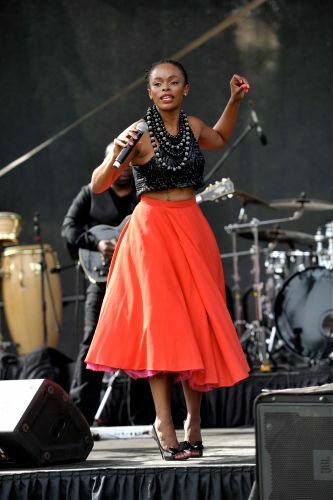 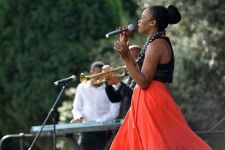 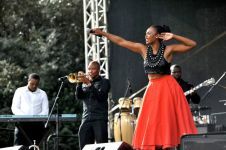 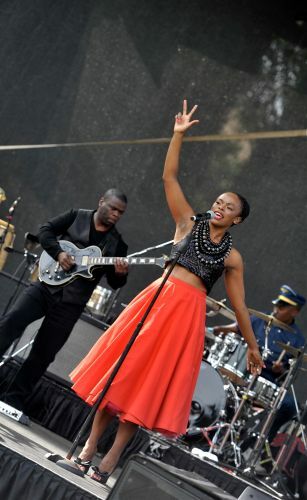 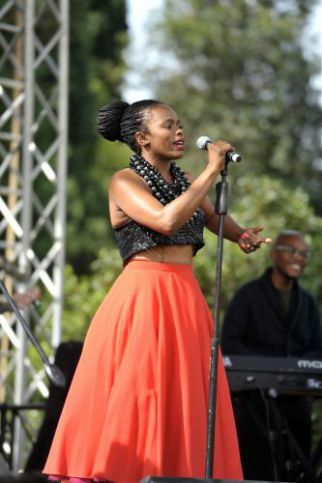 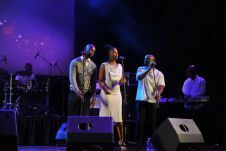 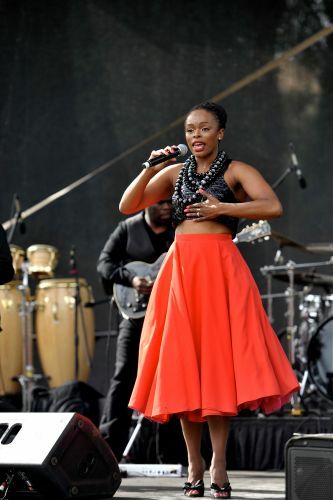 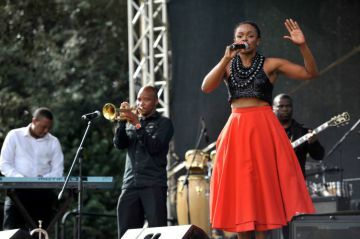 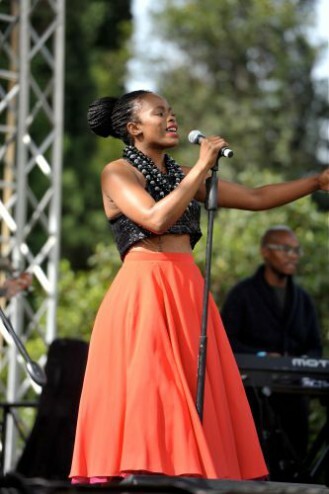 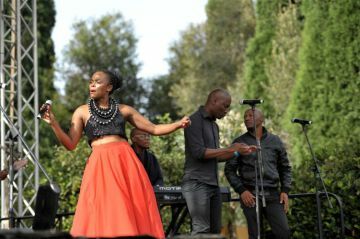 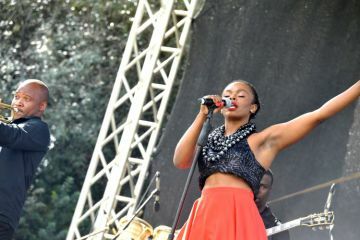 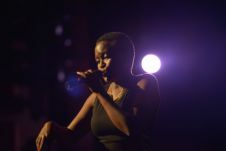 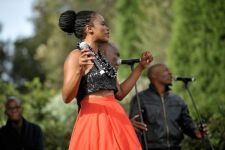 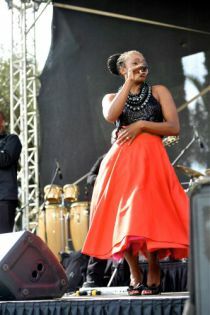 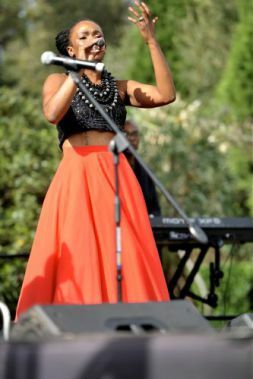 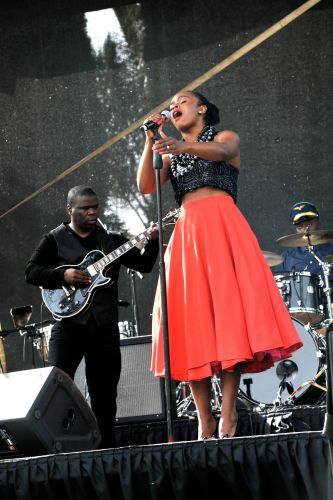 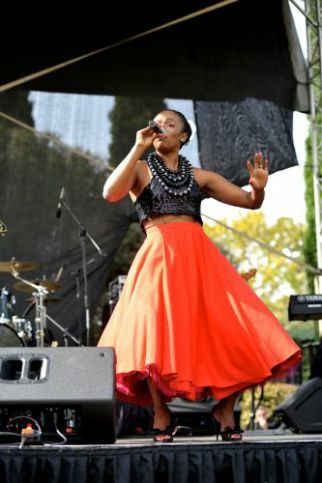 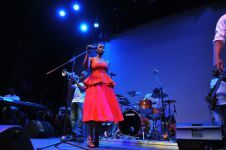 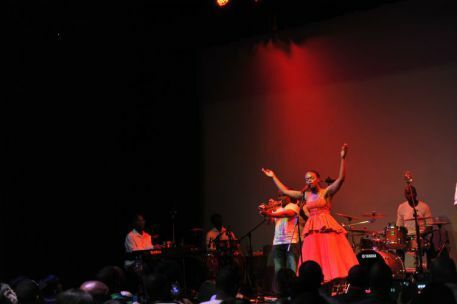 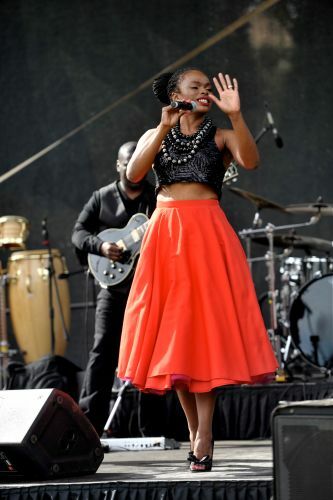 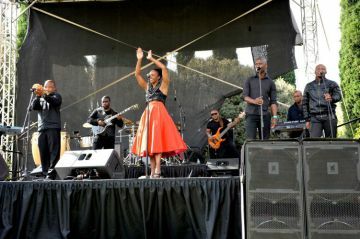 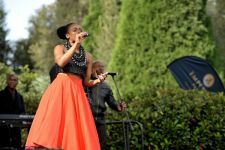 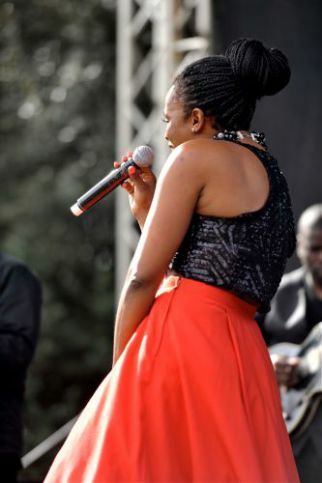 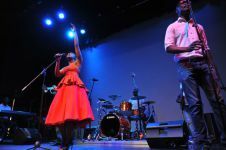 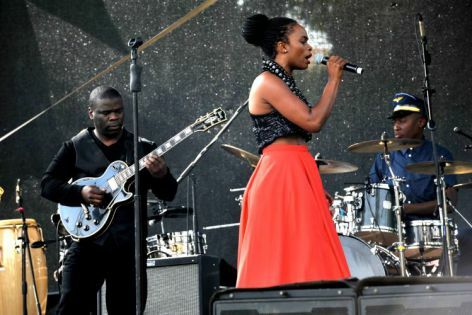 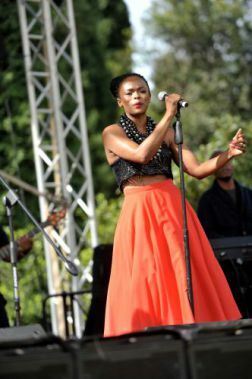 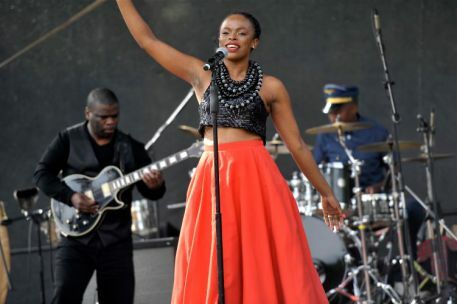 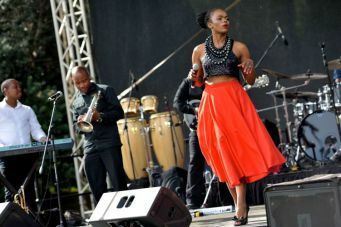 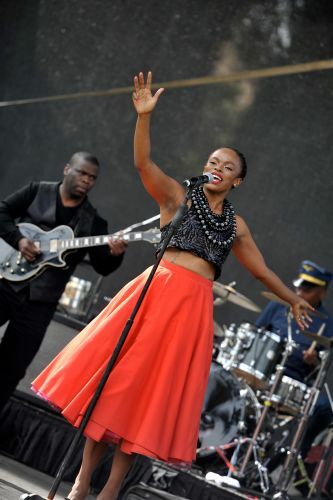 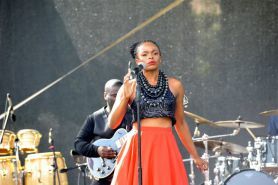 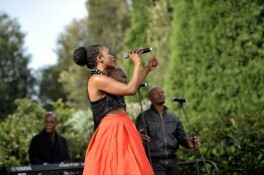 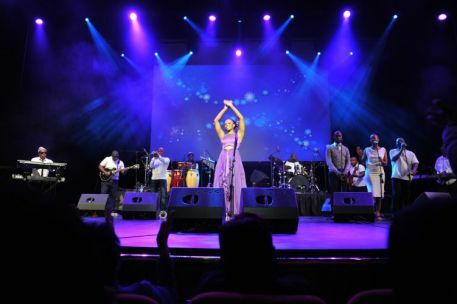 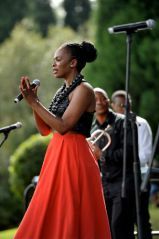 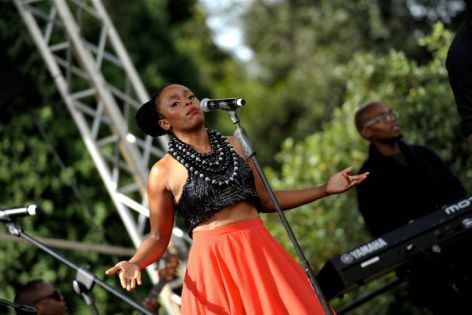 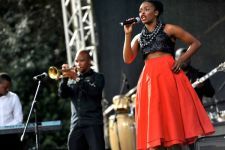 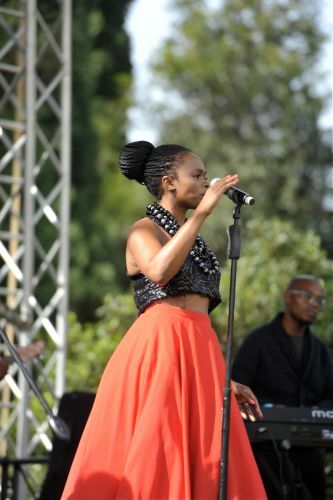 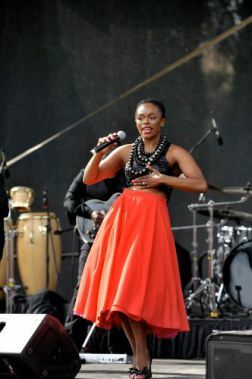 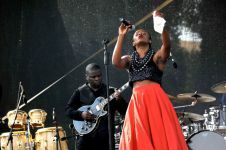 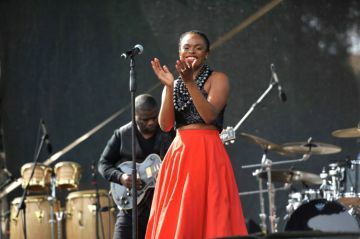 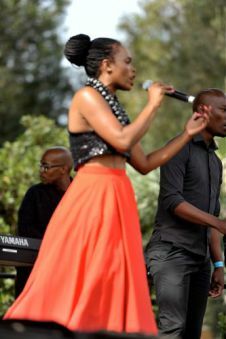 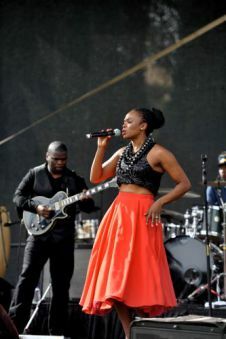 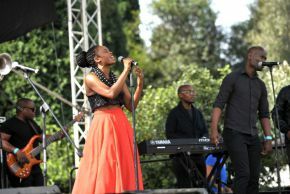 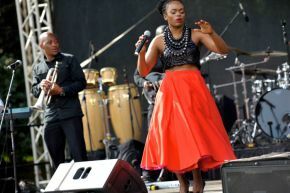 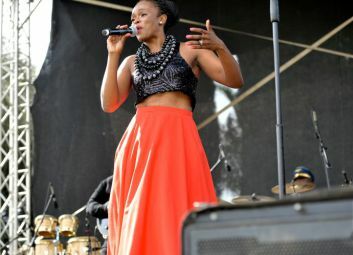 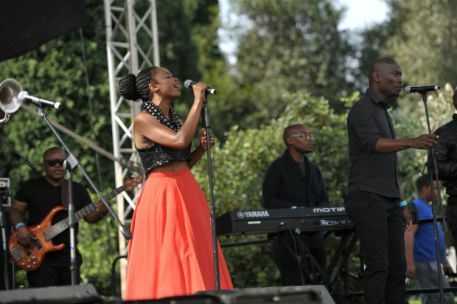 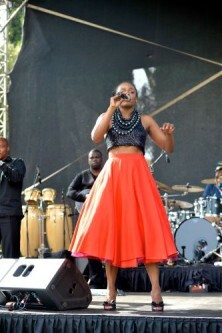 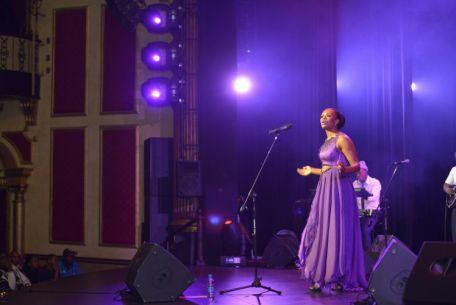 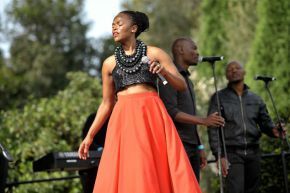 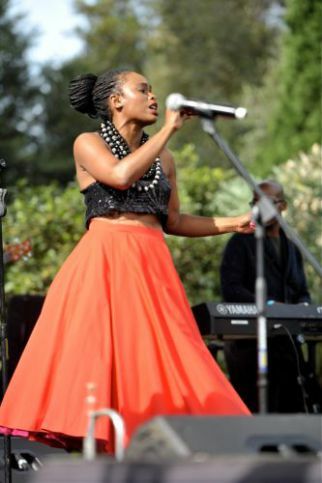 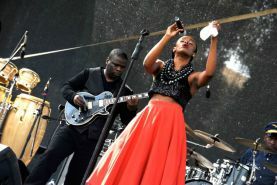 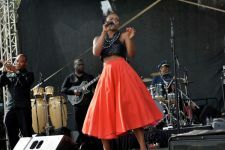 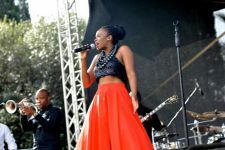 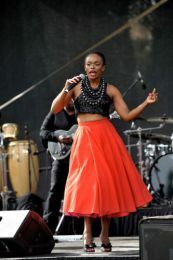 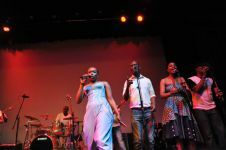 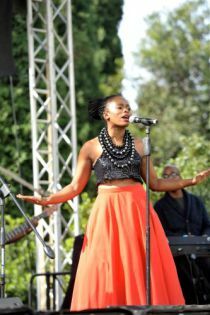 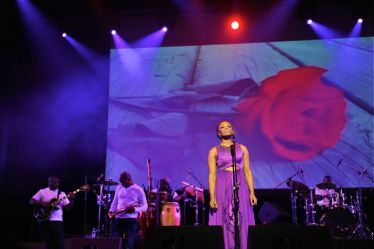 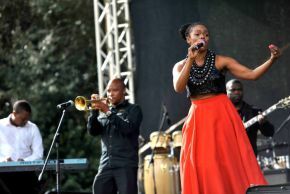 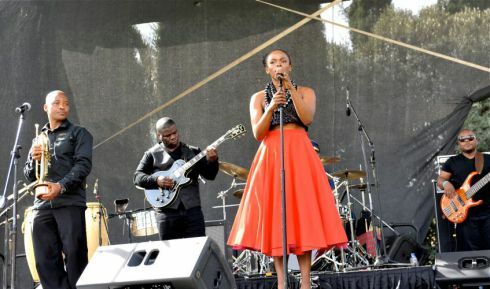 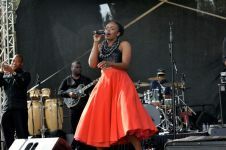 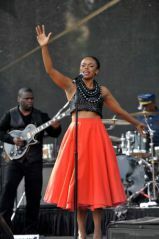 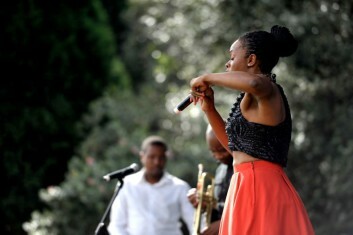 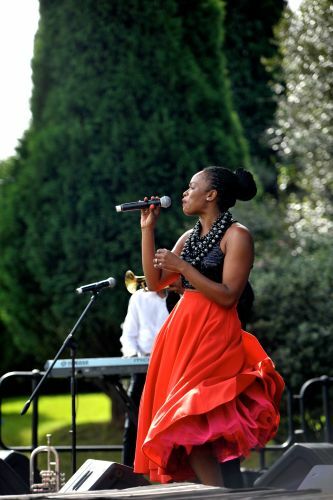 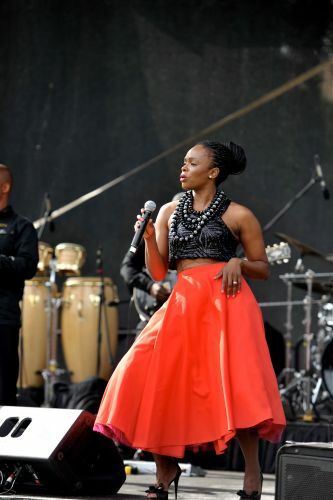 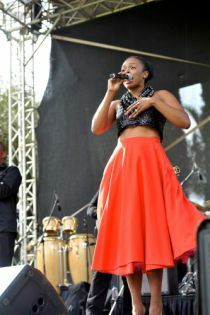 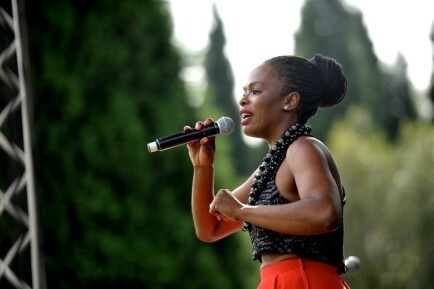 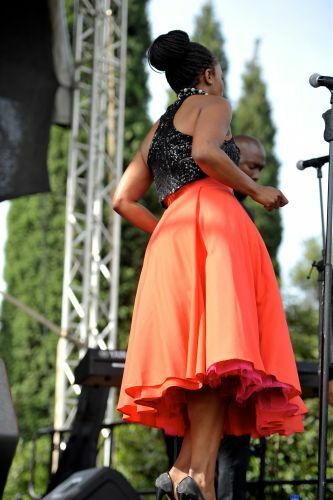 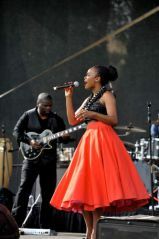 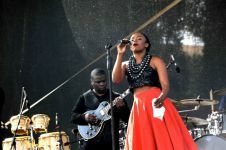 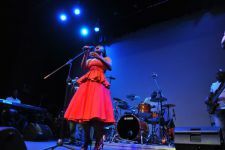 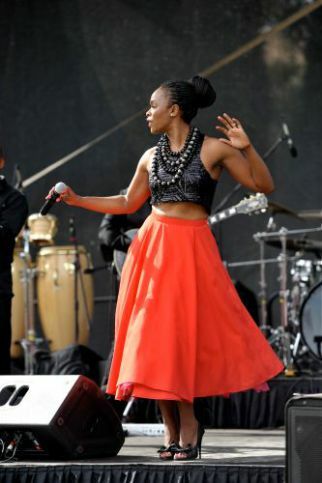 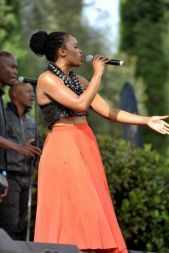 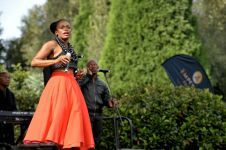 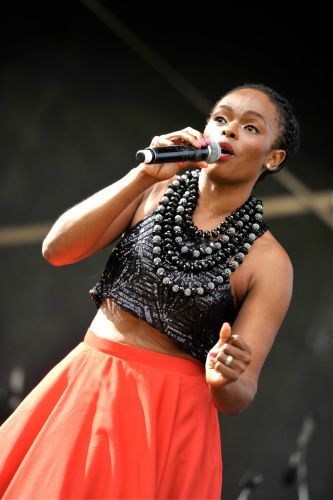 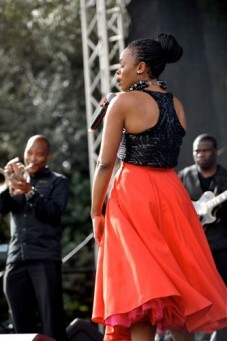 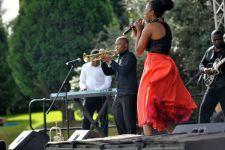 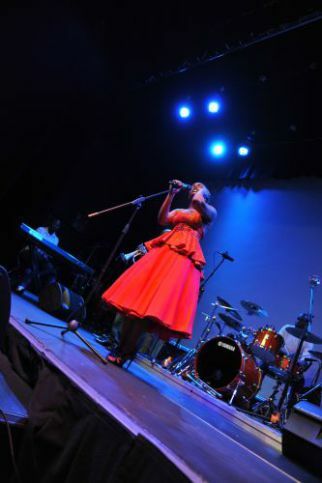 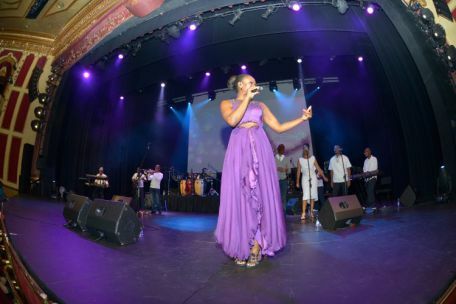 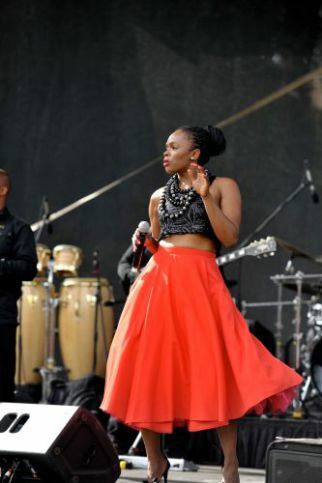 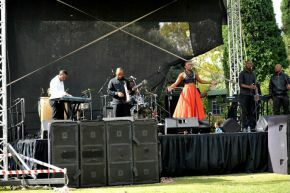 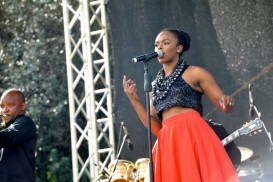 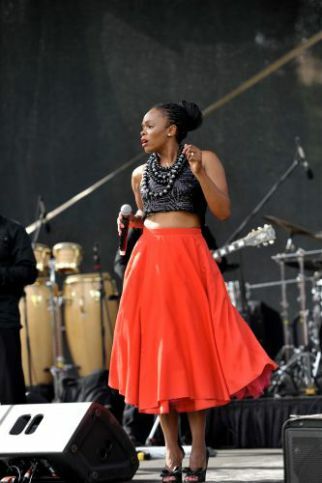 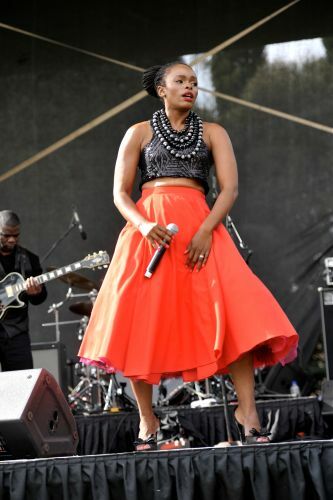 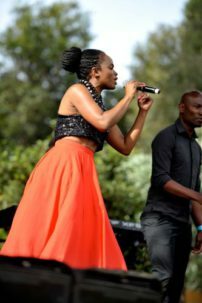 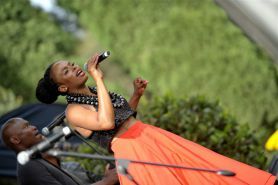 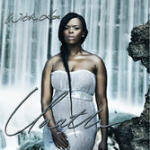 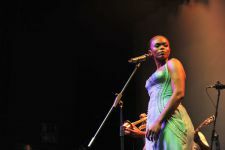 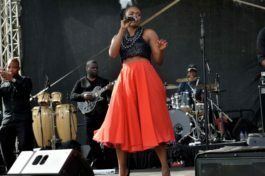 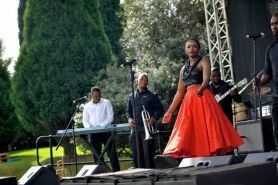 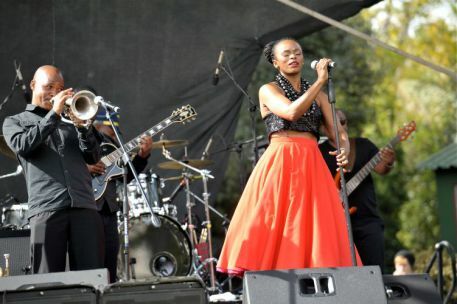 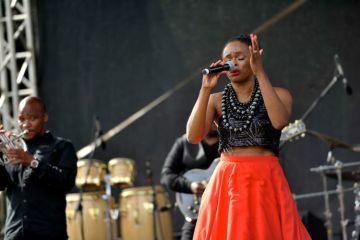 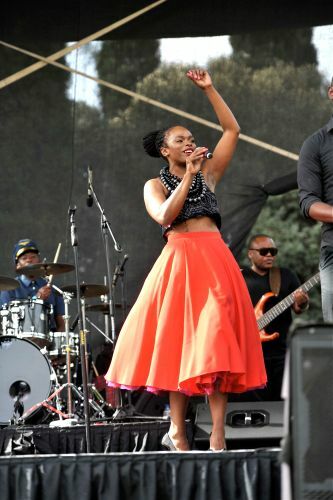 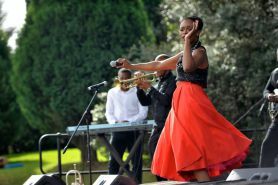 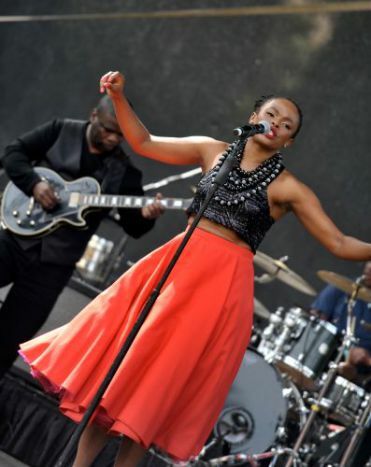 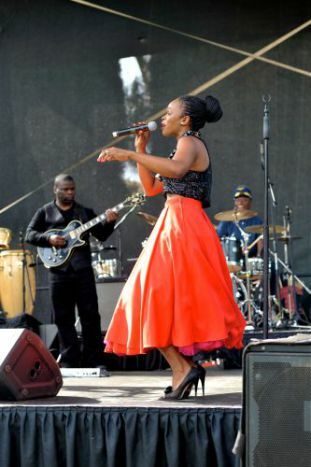 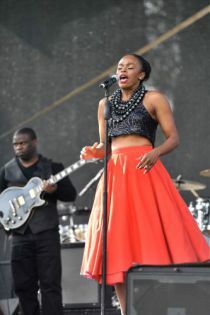 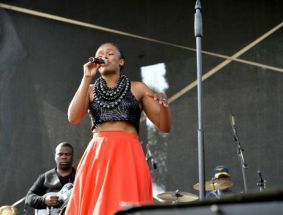 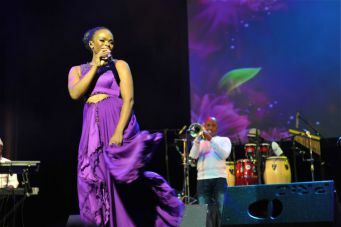 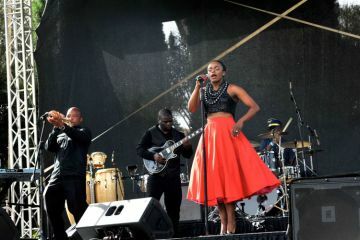 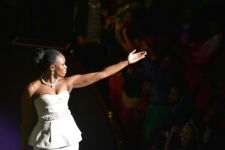 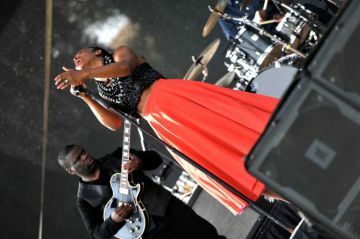 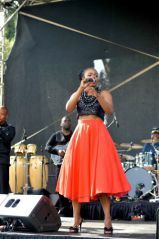 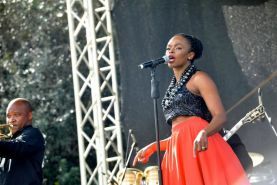 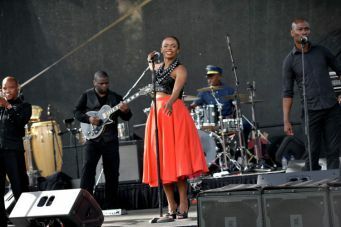 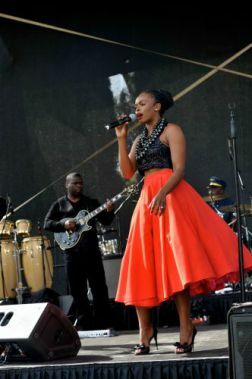 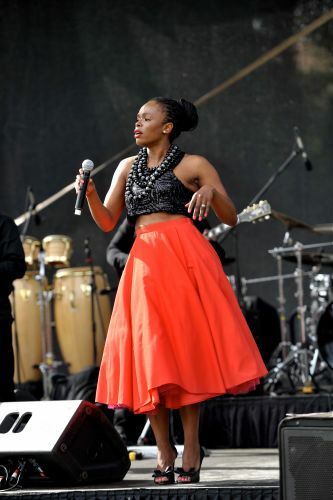 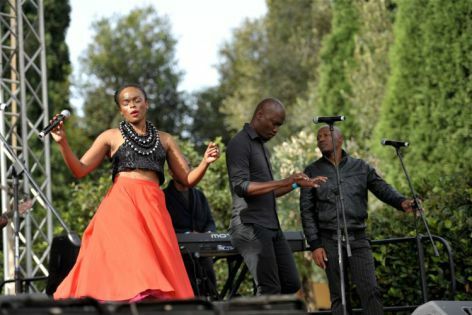 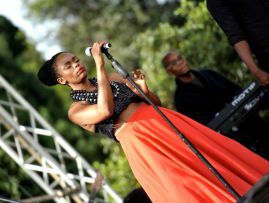 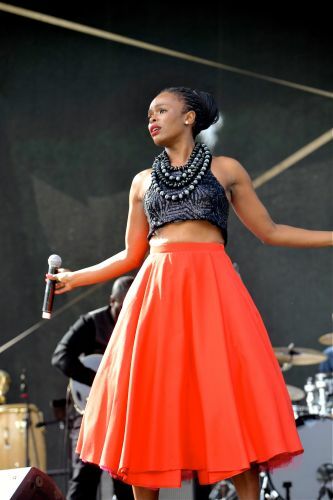 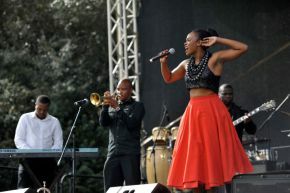 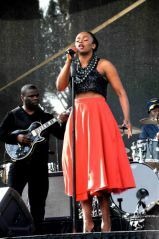 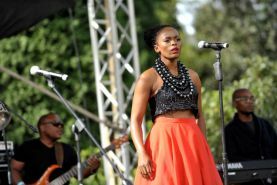 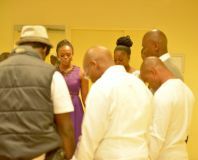 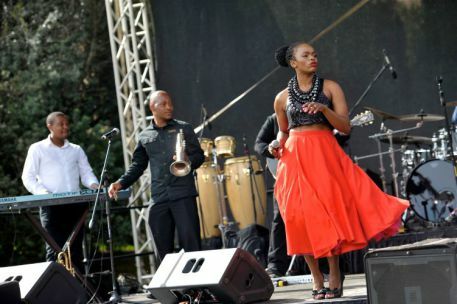 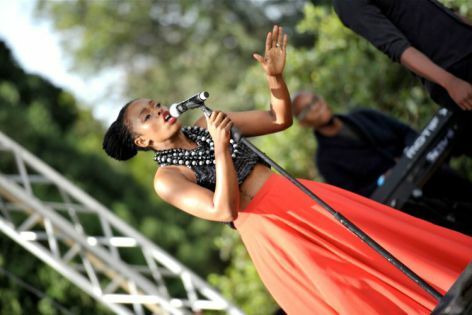 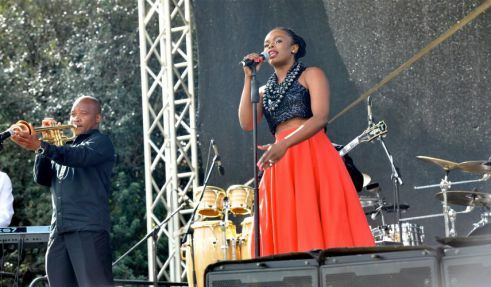 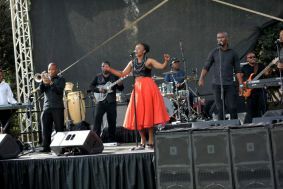 The album boasts collaborations that will surprise her fans. 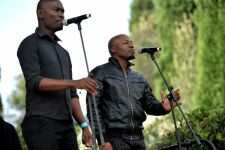 It has a house/dance pace to it and the first single, Run, was produced by the Revolution twins. 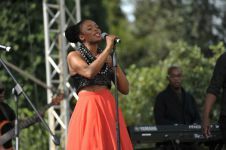 In addition they have produced three more songs for her. 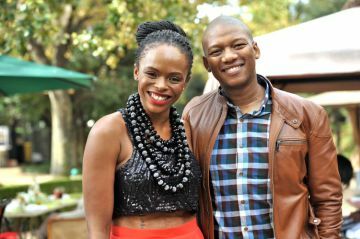 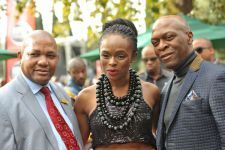 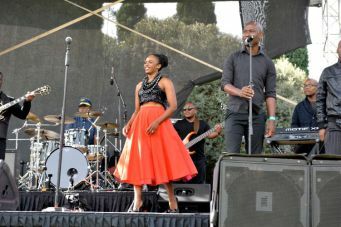 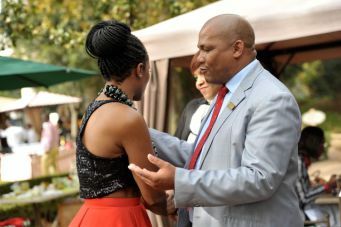 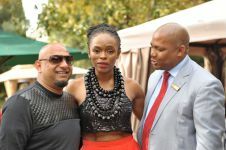 “We started out in the industry at the same time and we have a very wonderful relationship,” Msengana says of Joseph and George Mothiba. 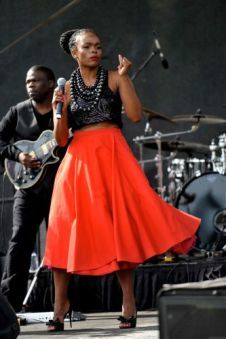 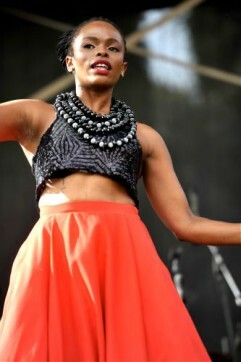 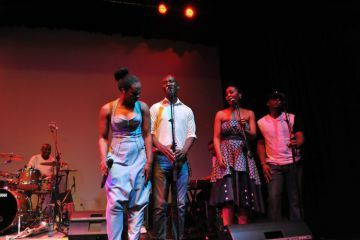 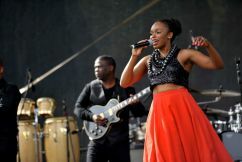 She says the idea of having them on her album came when she was featured on their track Amandla. She is not fazed by how her fans will react to the new sound. 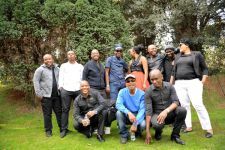 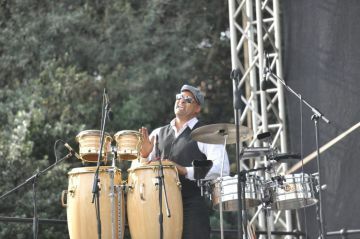 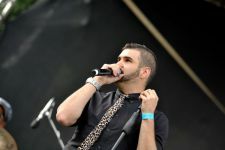 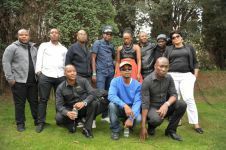 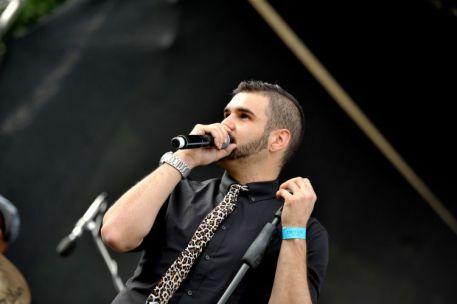 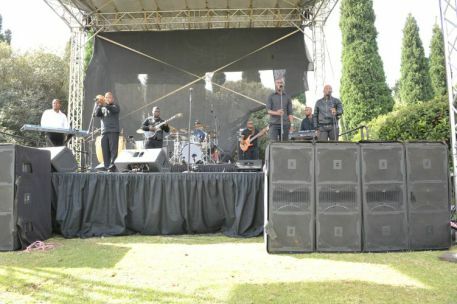 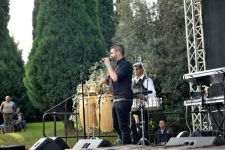 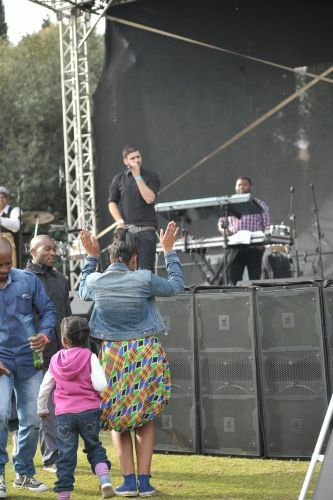 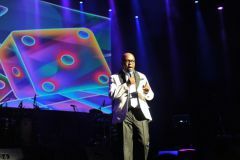 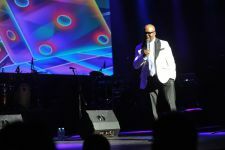 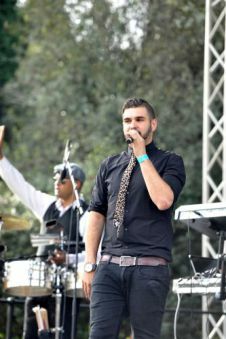 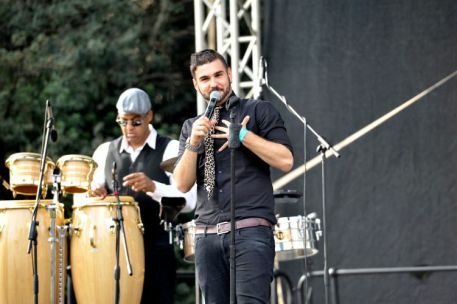 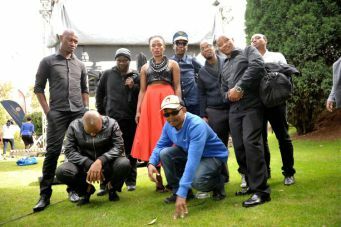 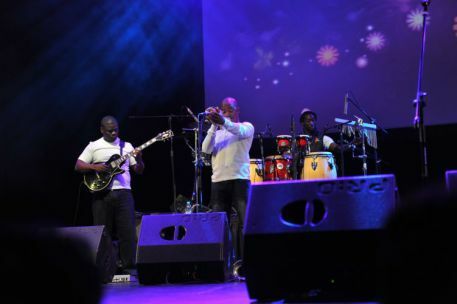 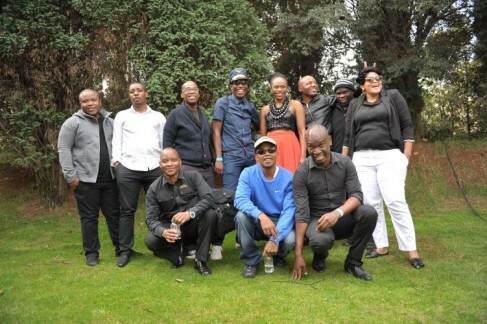 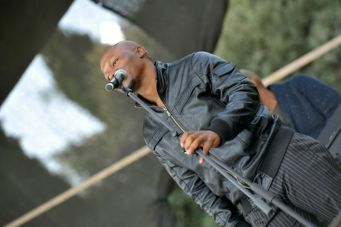 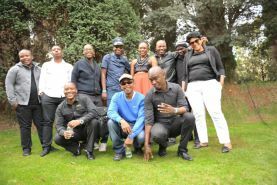 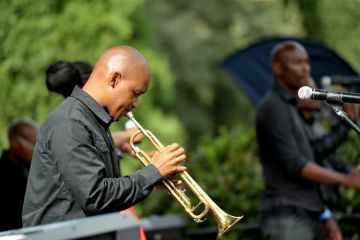 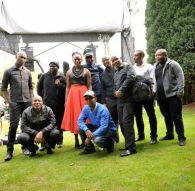 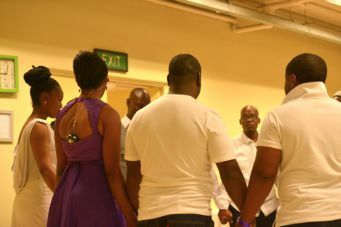 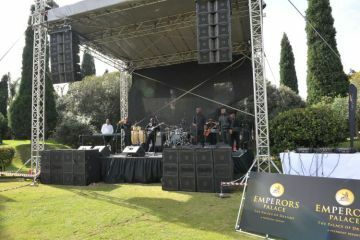 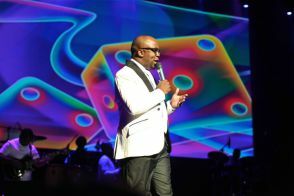 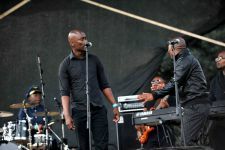 “I’ve had a soulful crowd, I’ve had a dance crowd, I’ve had a kwaito crowd and I’ve also had a hip-hop crowd. 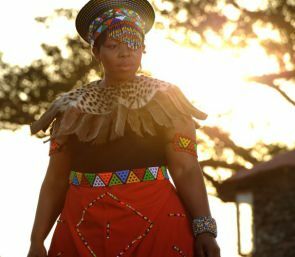 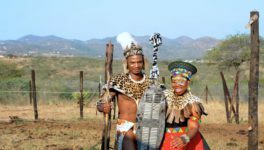 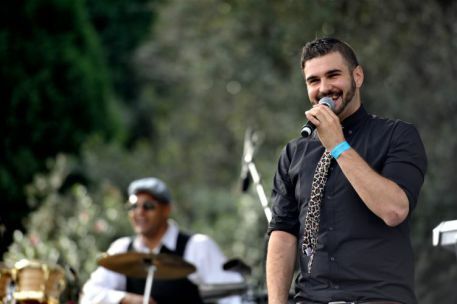 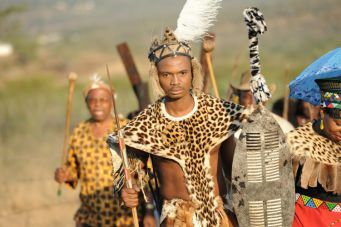 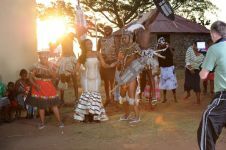 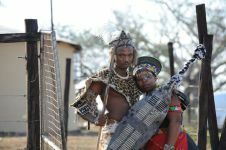 This time, it’s all of that in one.” In June, Msengana recorded a voice-over for a Disney cartoon show which was a first for the country and the continent at large. 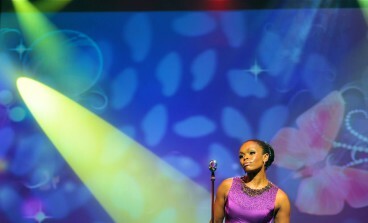 “I get to be associated with Disney for the rest of my life, and no one can take that away from me”. 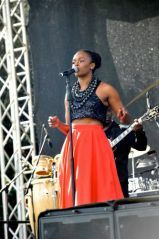 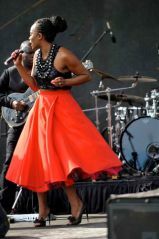 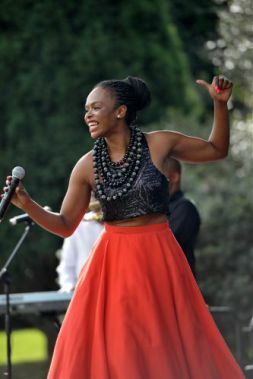 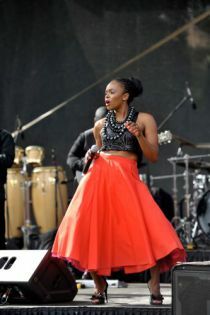 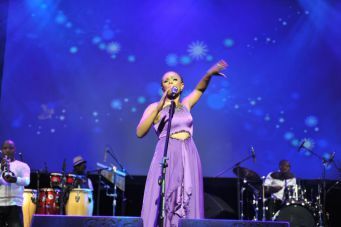 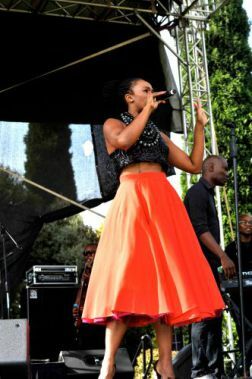 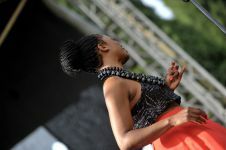 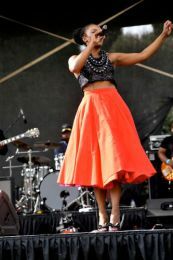 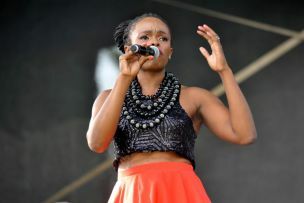 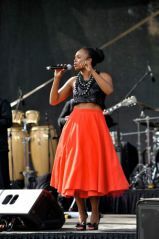 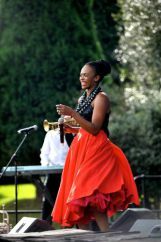 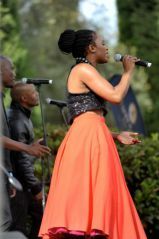 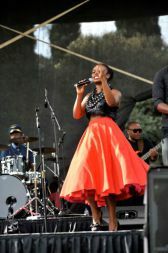 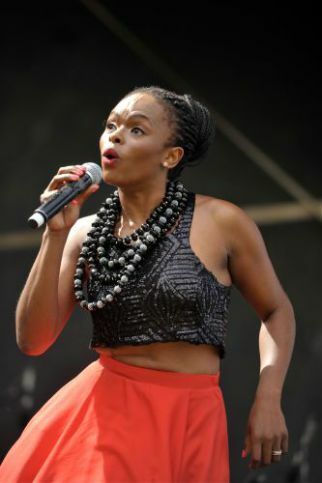 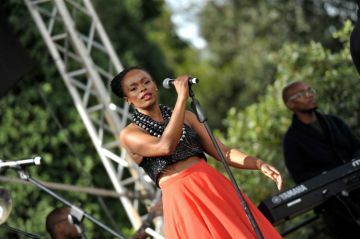 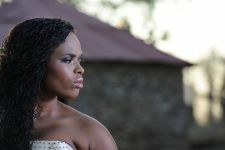 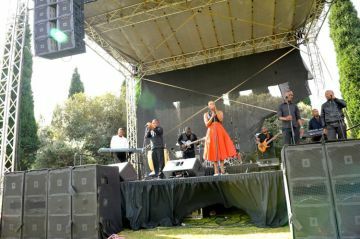 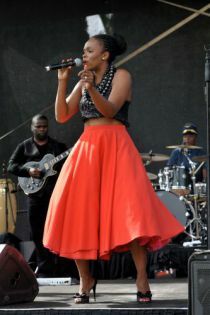 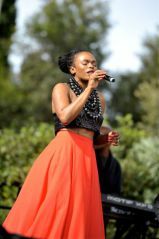 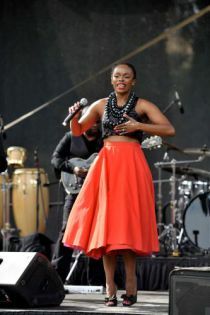 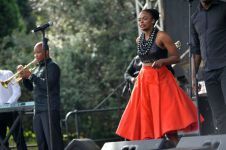 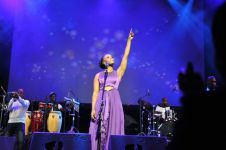 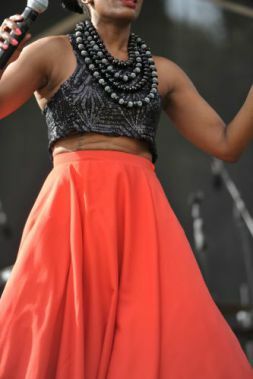 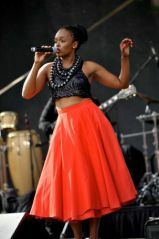 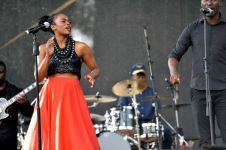 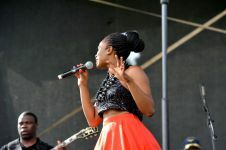 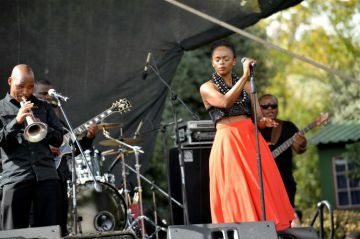 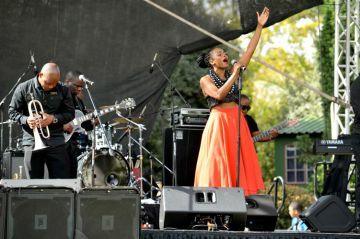 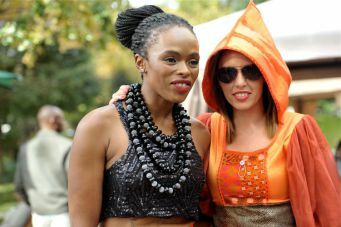 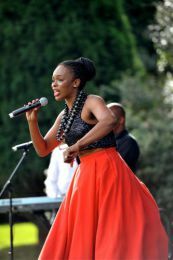 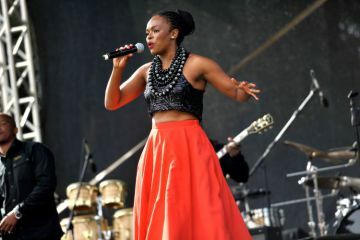 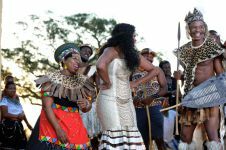 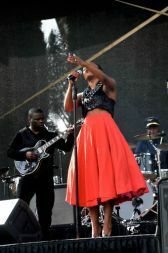 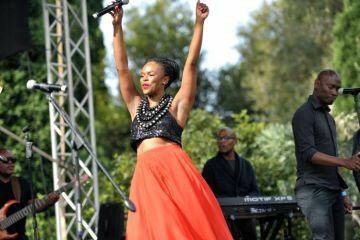 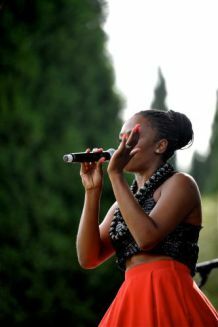 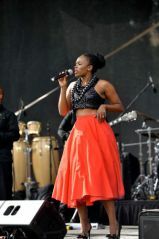 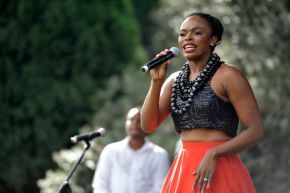 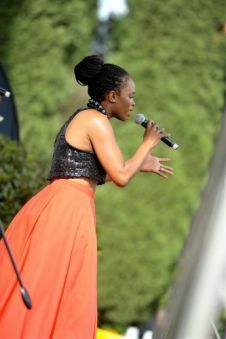 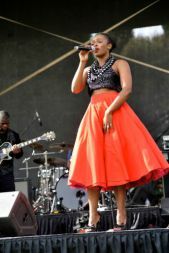 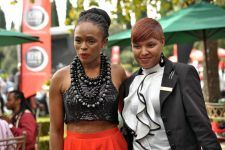 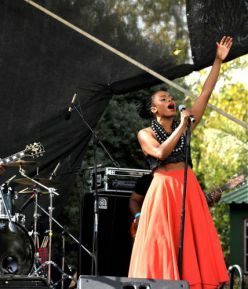 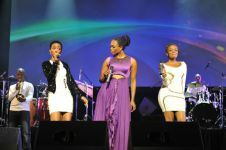 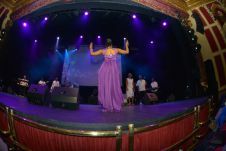 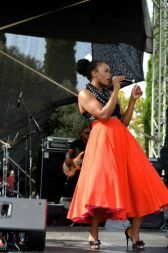 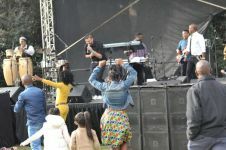 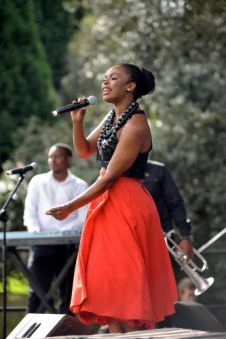 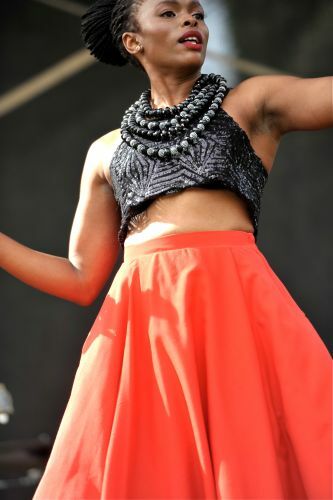 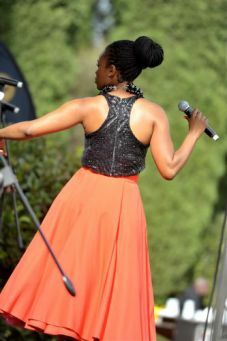 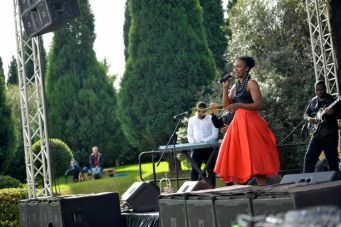 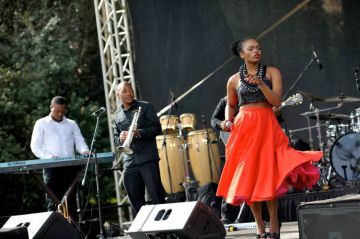 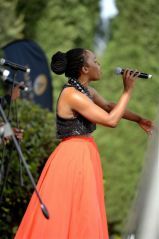 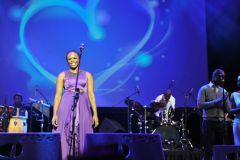 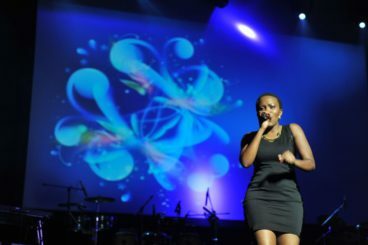 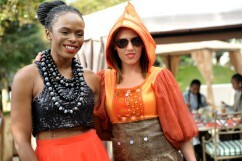 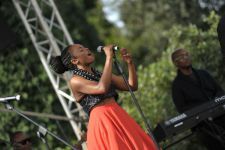 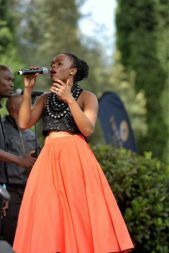 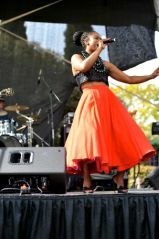 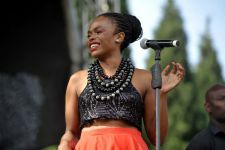 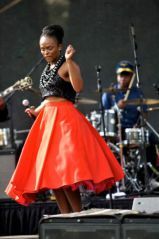 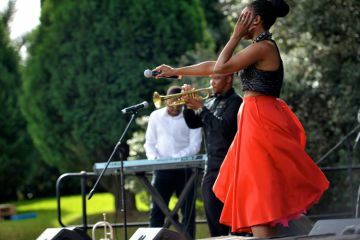 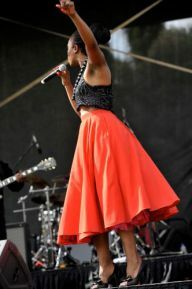 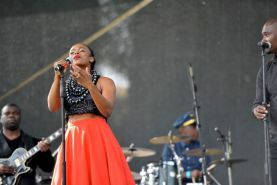 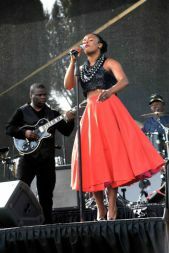 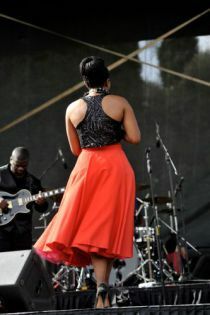 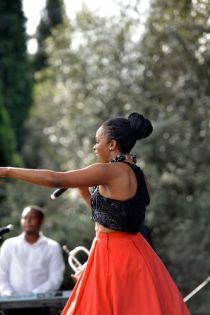 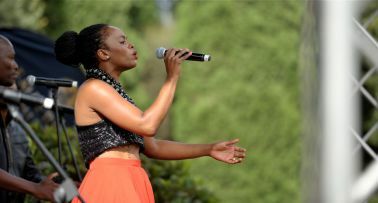 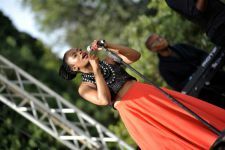 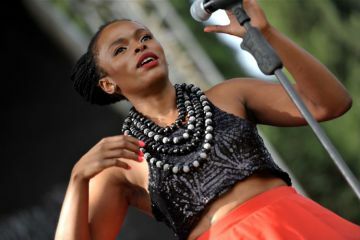 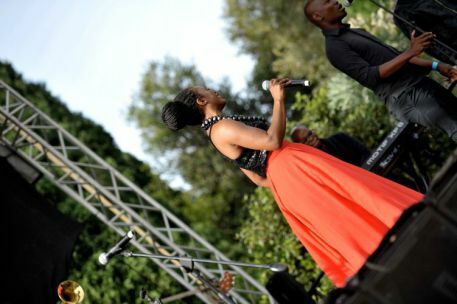 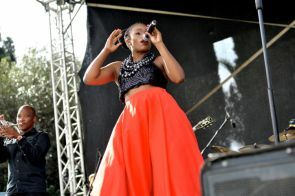 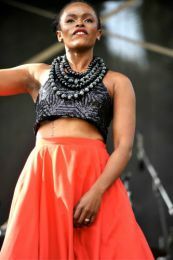 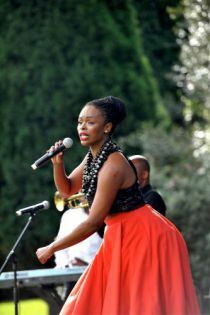 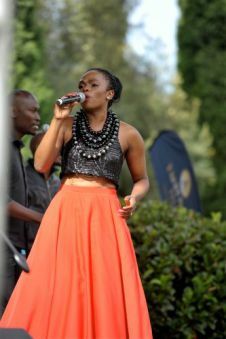 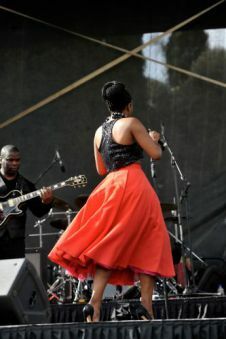 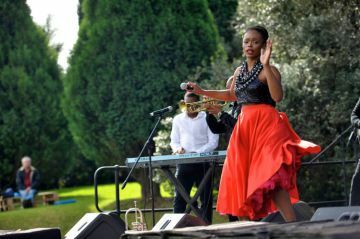 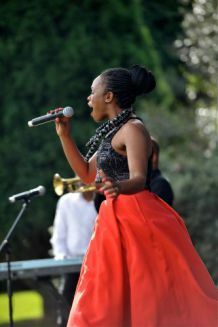 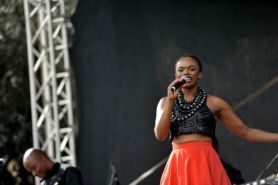 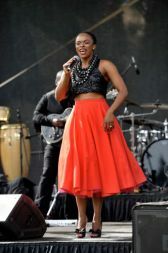 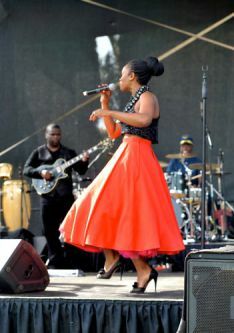 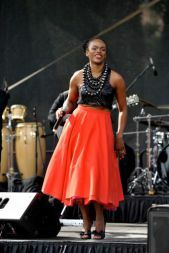 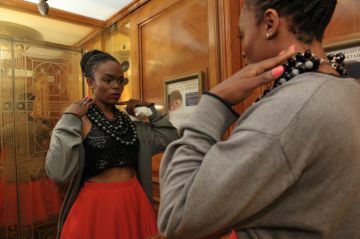 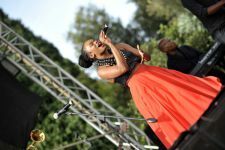 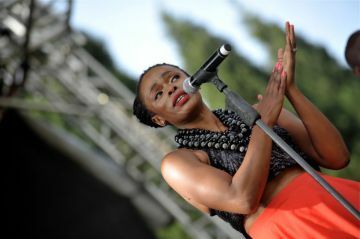 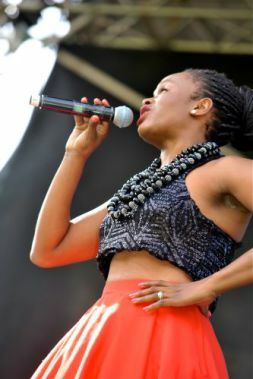 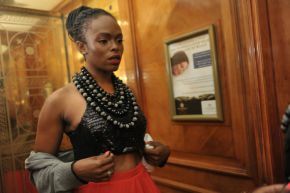 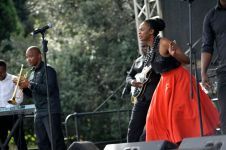 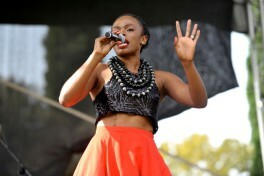 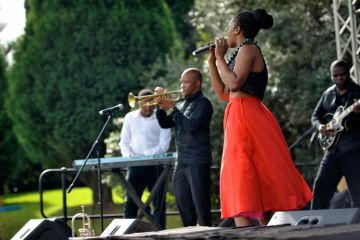 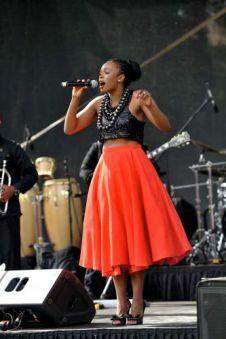 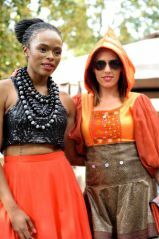 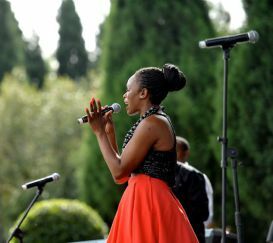 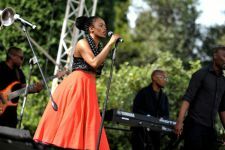 Earlier in the year, she was nominated for the Nickelodeon Kids’ Choice Awards in the Favourite South African Radio DJ. 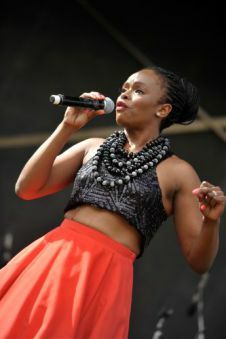 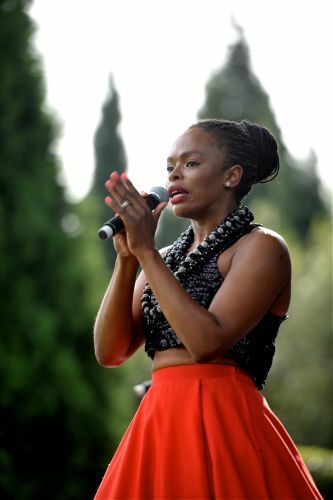 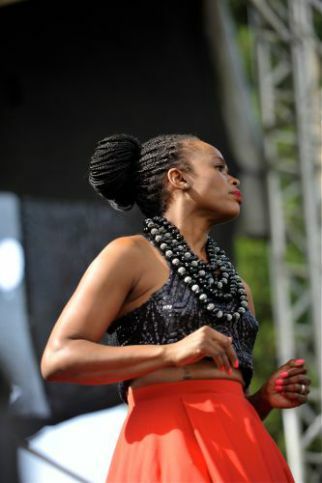 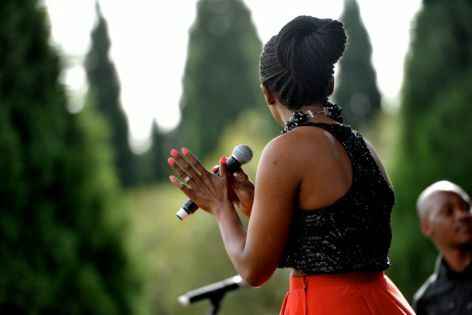 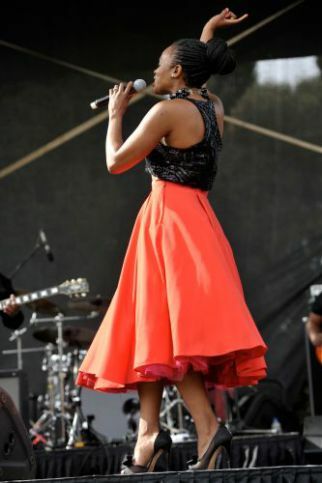 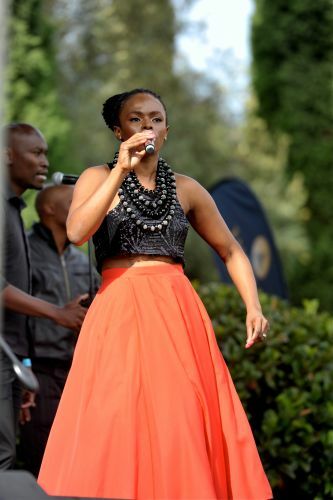 She has been behind the microphone at Metro FM for eight years now, co-hosting The First Avenue with Glen Lewis . 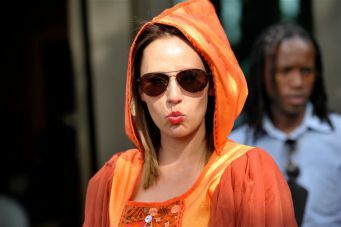 She heaps praises on her colleagues, saying she wouldn’t be the person she is today if it weren’t for them. 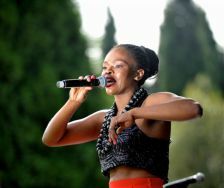 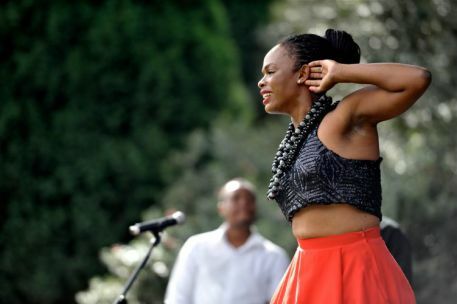 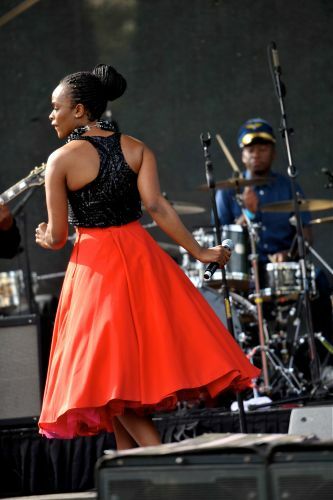 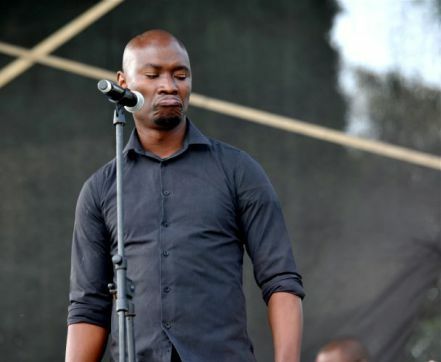 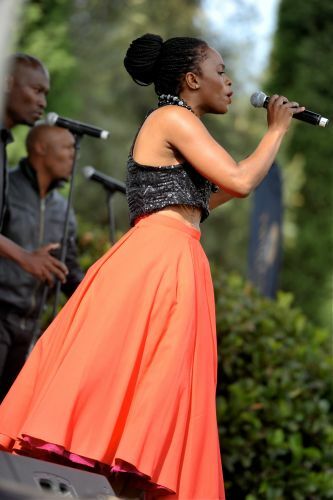 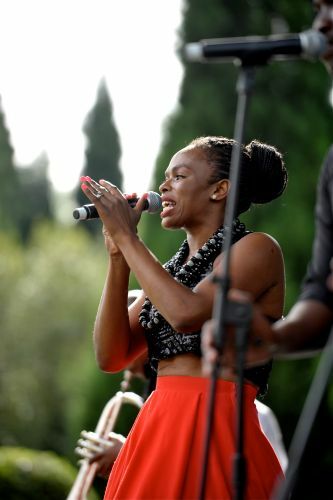 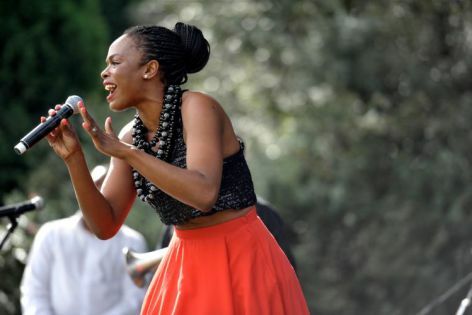 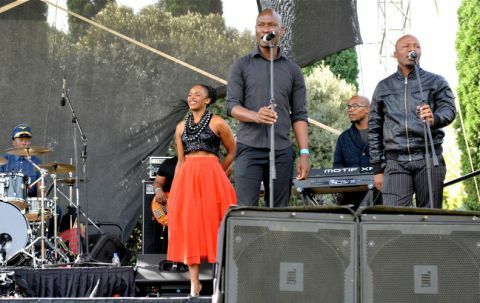 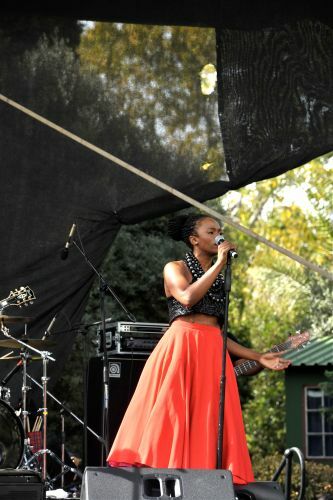 With Idols in full steam, Msengana says it hasn’t been as hectic as the previous seasons. 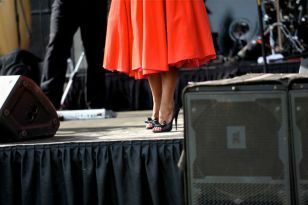 “The kids are older now and I’m not pregnant,” she jokes. 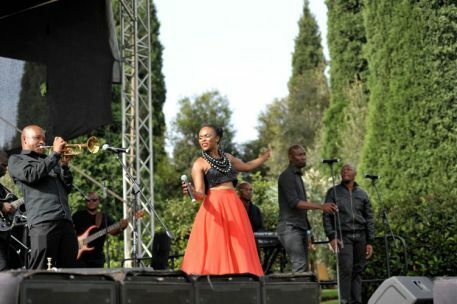 Her schedule will kick into high gear as the festive season nears as she promotes the album and shoots some videos.